Business laws are laws that apply to the rights, relations, and conduct of persons and businesses when engaged in commerce, merchandising, trade and sales. When it comes to running your own business, there are a wide range of issues that are involved, such as, taxes, finances, employment/labor laws, acquisitions, contract negotiations, and litigation. There are several types of business structures. If one wants a simple business structure, a sole proprietorship is just a one-person business that does not have to be registered with the state. Although this may be an easy structure, it does not protect the owner from any liabilities. There are two types of partnership structures, which are owned by more than one owner. There are general partnerships and limited partnerships. General owners maintain liability for the business equally, whereas, a limited partner’s liability cannot exceed their financial contribution to the partnership. Unlike the other structures, corporation business structures are more complex. A corporate business structure establishes a business as a separate legal entity owned by shareholders. Therefore, the corporate itself, is held liable for the actions and debts the business incurs, not the shareholders. 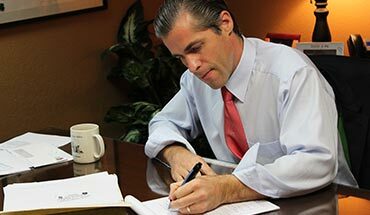 Limited Liability Company provides the limited liability features of a corporation. However, LLC members are not taxed and are allowed to report their business gains and losses on their personal tax returns.